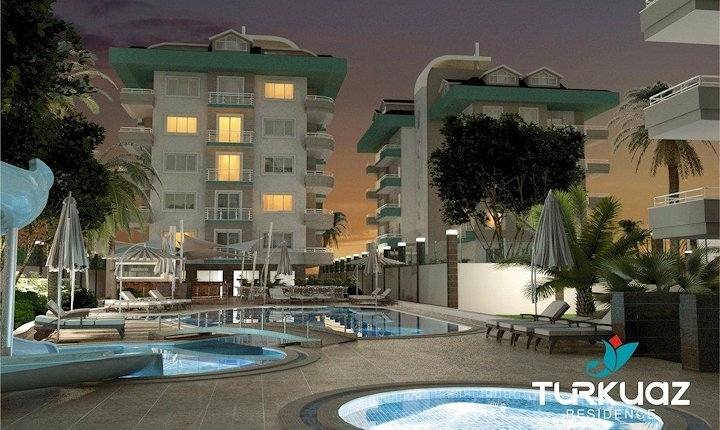 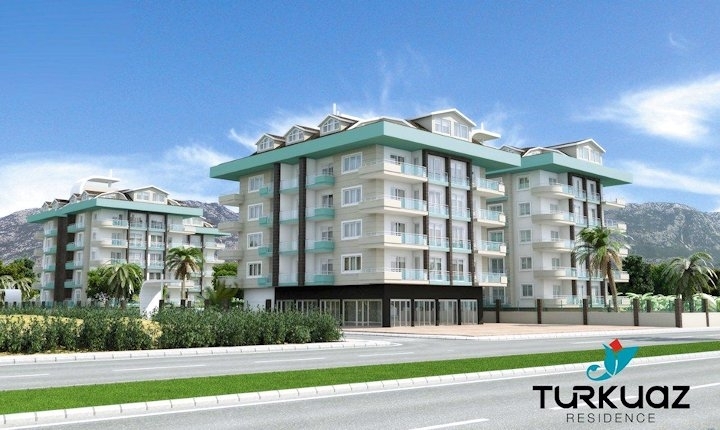 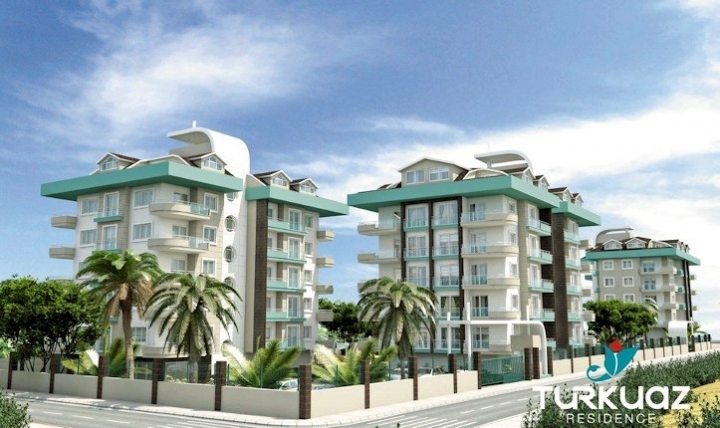 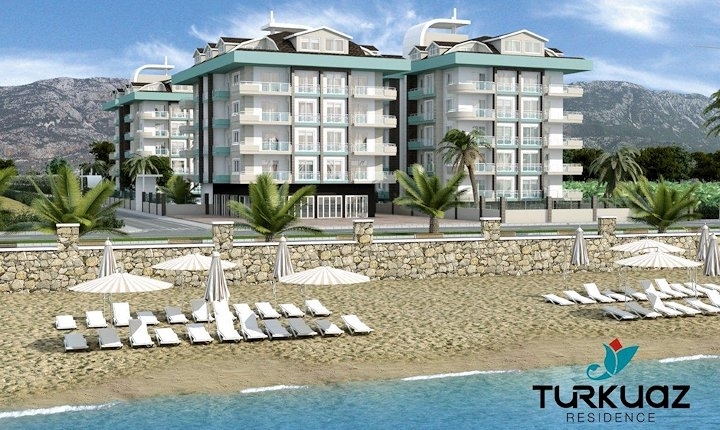 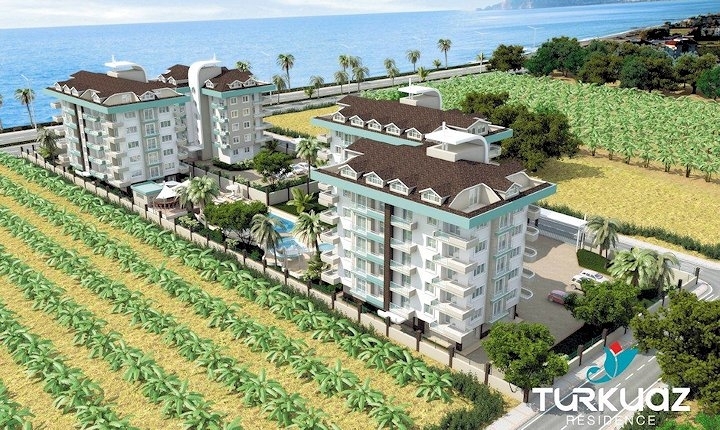 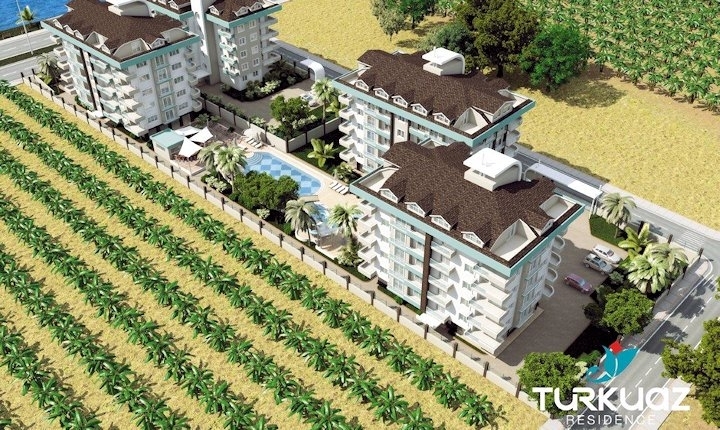 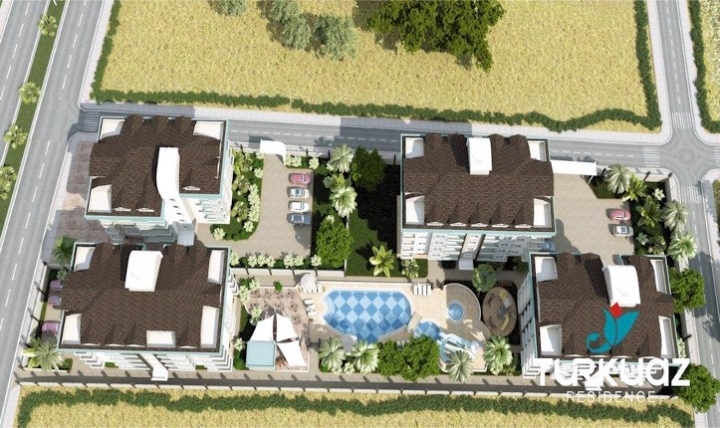 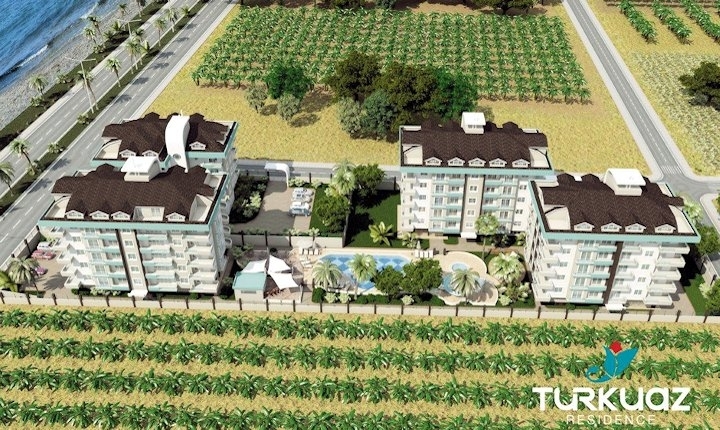 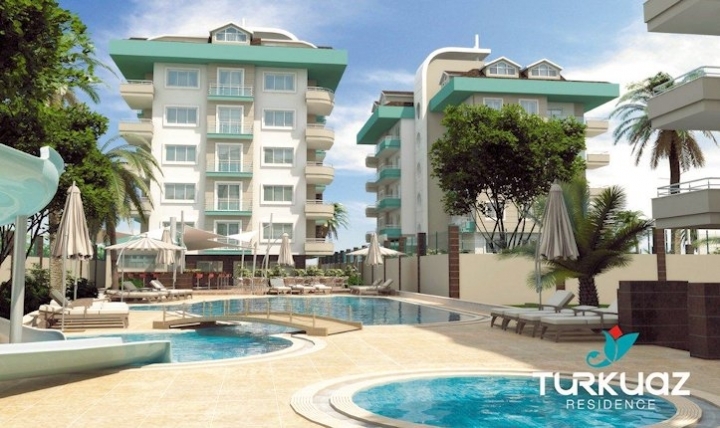 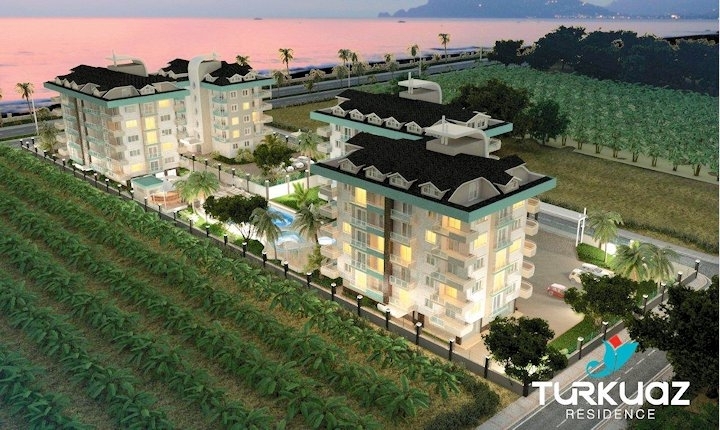 Turkuaz Residence Kestel Alanya - Toroslar Construction Alanya. 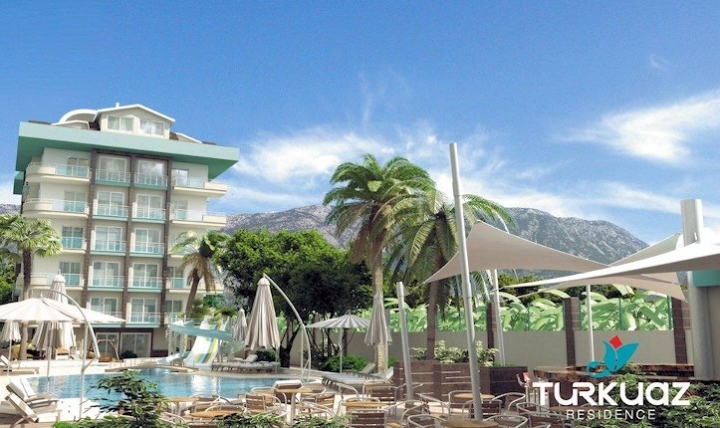 situated in Kestel and offers fantastic views of the ocean, the Taurus Mountains, and Alanya centre. 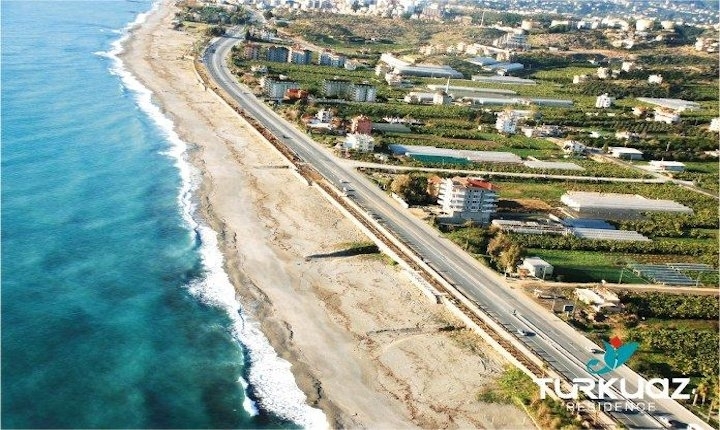 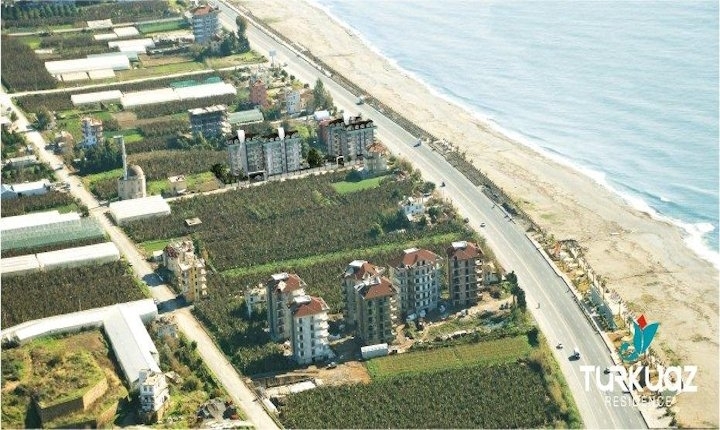 Kestel is now an attractive area because the area is unaffected and therefore can offer great homes in a green area and seafront. 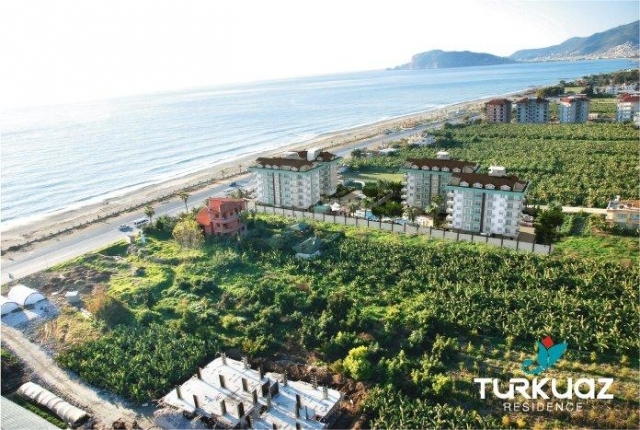 This is also a great opportunity for investment because the district Kestel is developed quickly, and they are building beautiful promenades, a new town center with shops and restaurants, and is only 20 minutes from the new airport in Gazipaşa. 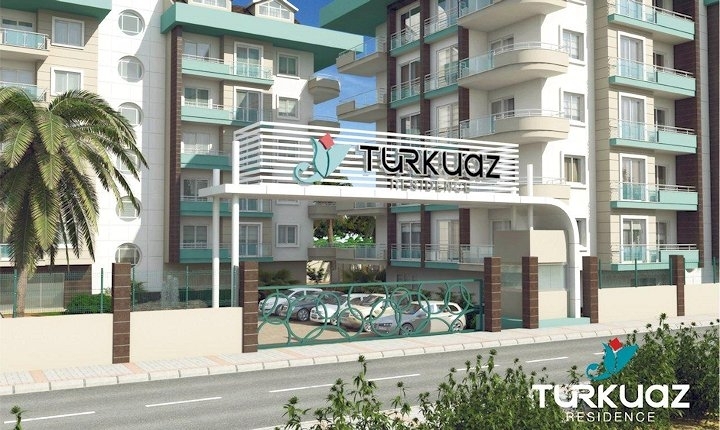 Turkuaz Residence project offers 65 luxury one, two and three bedroom apartments in 4 blocks as well as penthouses with 4 and 5 bedrooms. 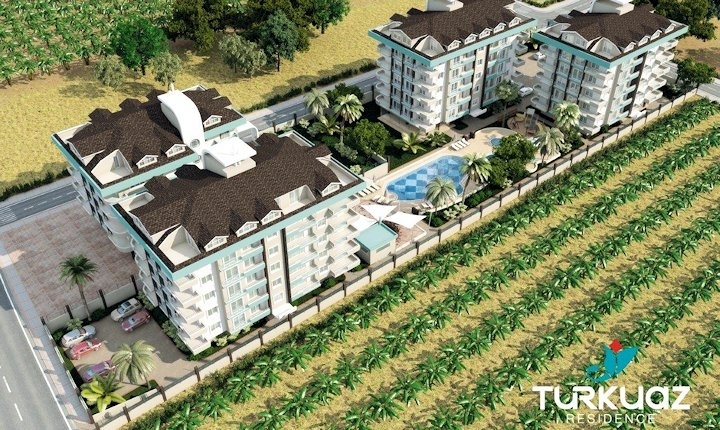 It will include a fitness center, sauna, game room, play area for children and swimming pools with water slides. 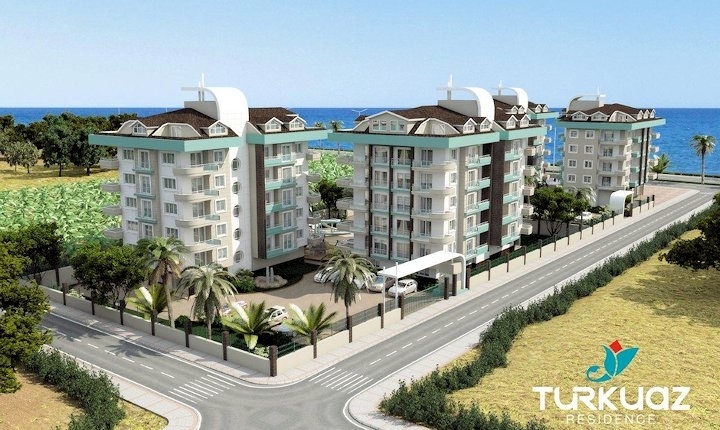 The complex is situated by the sea with only the road ahead, which will give a magnificent panoramic view towards the long sandy beach and the sea. 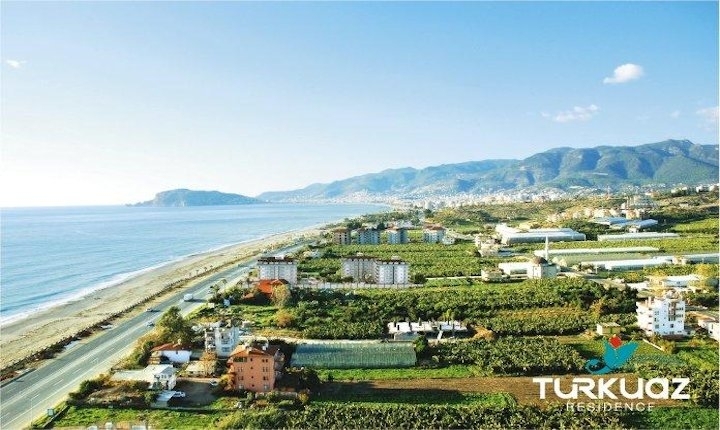 Bus to Tosmur, Oba, Alanya and runs every 10 minutes and stops right outside the complex. 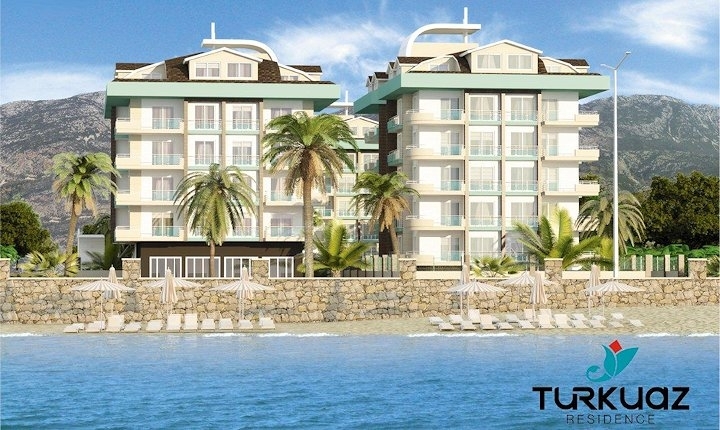 Start a new life in Turkuaz Residence with wonderful views of the endless ocean and beautiful sunsets. 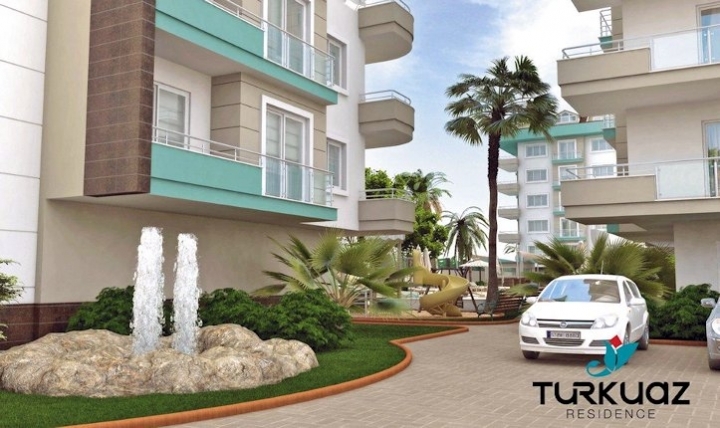 Turkuaz Residence project offers 65 luxury one, two and three bedroom apartments in 4 blocks as well as penthouses with 4 and 5 bedrooms.